A complete GDPR solution designed by our auditors to give you everything you need in one place. Included is a comprehensive workbook based on our 12 – Steps methodology and supported by our online GDPR portal packed with detailed guides, templates and downloads. 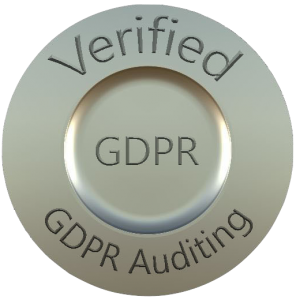 “I have been using GDPR Auditing’s Workbook and Portal for several months, as we prepare for the introduction of the GDPR on 25 May…The sheer volume of detail in the materials is impressive and reassuring for the user. 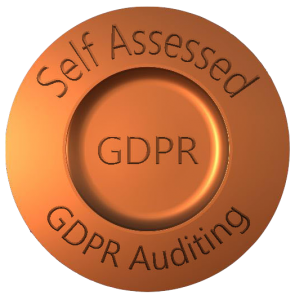 The resources are useful, both as a practical workbook and as a source of reference information about the GDPR, something I’ve found invaluable to augment my knowledge and understanding of the new legislation.” – GDPR Self-Assessment Toolkit client. Why do I need to be concerned about the GDPR? Simply, because from 25 May 2018 GDPR compliance is a legal requirement. Putting aside the likelihood of penalties if you don’t comply, your clients will be seeking assurance that you are GDPR compliant. Any prospective new clients will likely be looking for a GDPR compliant business. Your clients will need this confirmation to complete their own GDPR obligations if you are handling personal data on their behalf. Unless they are satisfied with your response they may look for an alternative supplier. You simply purchase, and work through, our GDPR self-assessment pack, complete with detailed guides. If you decide at a later date you want us to complete the process for you, you can simply upgrade to one of our other services. For example, if you want us to check your work then you can upgrade to our Verified service. Order your workbook here for £600. For added assurance we can verify your completed workbook for an additional fee. We will then verify that your self-assessment is adequate by reviewing your completed pack and providing you with an assessment report. Like lots of advisers I’ve been crawling around the net for hours getting really confused about GDPR, then when I came across your GDPR Workbook and Guides my stress levels dropped a long way, and even more so when I started using them and realised how straightforward they were to work through. I’ve posted a link for colleagues on the CIMA ‘members in practice’ LinkedIn group, in answer to a thread running there about how little practical info there was about GDPR. I would like to thank you for providing the tailored GDPR workbook and blog detailing your experience of completing the workbook. It is a great comfort to myself as a sole practitioner who is attempting to become GDPR compliant on her own. I don’t know what I would have done without you! To find out more about this service or any of our other services please email us at info@gdprauditing.com or get in touch via our contacts page.